I was very nervous when I saw last week’s promo for tonight’s Jane The Virgin, which made the episode look like one long ad for Target, its most aggressive corporate sponsor. Target’s prominence on Jane The Virgin has been a key element of the company’s “#SinTraduccion” (“#WithoutTranslation”) ad package launched earlier this year, part of a larger campaign to court more Spanish-speaking customers (you can read more about it in this Racked piece), and the promos for “Chapter Twenty-Nine” suggested that the sponsor was hijacking the story. That’s thankfully not the case, and writers Dara Resnik Creasy and David S. Rosenthal cleverly use this forced integration as fuel for an episode that explores how administrators impose their demands on creatives. The Target scene is relatively painless, showing Rafael the #BlackFridayVirgin as he learns the strict rules of Christmas shopping with the Villanuevas. The advertising subtext is that Target is the perfect place for all your Black Friday needs, with staff members that are eager to help but will quickly get out of your hair if you already know what you need and where it is, but at least the writers keep it subtext. Unlike Empire’s extremely heavy-handed integration of Pepsi PR in last week’s Jamal storyline (the first chapter in a three-part Pepsi arc), the most forceful aspect of the Target plot in this episode is the Target setting, which bombards the viewer with the company’s logo and products. It’s unlikely that Creasy and Rosenthal would have chosen to include a Target-centric script if it weren’t for demands from the network to satisfy a corporate partner, and the theme of administrative authority compromising creativity pops up throughout the episode. When Jane brings her writing to Dr. Lorraine Bolton, a New York Times best-selling author that she wants as her advisor, she receives vague critiques to turn the volume up, make the reader gasp, and make everything “more sparkly.” It’s easy to imagine Bolton’s words as the wishes of network executives that want their shows to have bold aesthetics that demand attention and game-changing moments that get people talking on social media, but those don’t necessarily lead to a good story, especially when those requests go against the creative impulses of the artists. I doubt that the writers are commenting on The CW through Bolton, and the continued success of this series makes me think that Professor Chavez represents Jane The Virgin’s home network, providing thoughtful critiques on perspective and tone that help Jane sharpen her writing. (Maureen Ryan wrote a great profile of The CW’s president Mark Pedowitz for Variety, which goes into further detail regarding how he’s rejuvenated the network.) The CW might force some Target integration, but the network also lets this show’s creative team fully realize its unique vision for the series, which isn’t too bad a trade-off. The bigwig passes despite Rogelio’s animated summary of the show, forcing Rogelio to return to his old network because he invested all his money in his passion project and is now broke. The Telemasivo executives are eager to have him back, but they have no intentions of allowing Rogelio to pursue his own artistic endeavors. 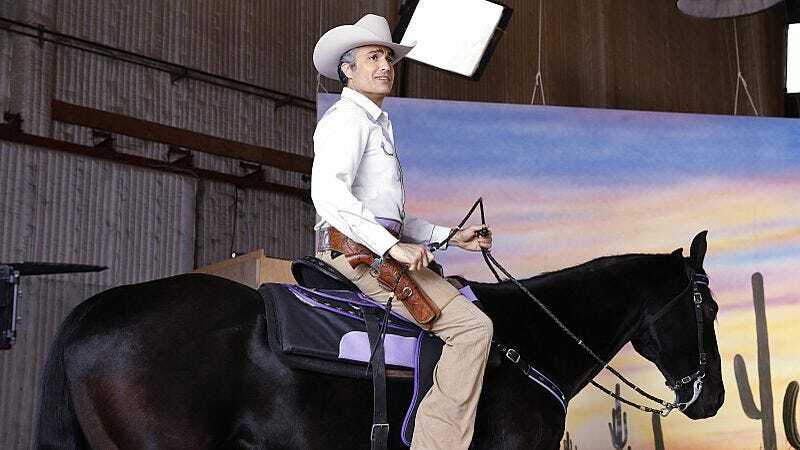 They were already burned by that once, so they give Rogelio a cowboy character identical to one he played in the past, forcing Rogelio to choose between taking on an unfulfilling role or living a budgeted lifestyle. Rogelio ultimately chooses the latter, and relinquishing his wealth is just one of the sacrifices he makes this week. The other involves his pride, and after screwing up Xiomara’s chance of having one of her songs used as the theme for Esteban’s telenovela, Rogelio plays the part of Bogelio the fool in Ferdinand E Isabel to give Xo her big break. “Chapter Twenty-Nine” is another great showcase of Jaime Camil’s versatility as a performer, and he does particularly strong work capturing Rogelio’s fear at going back to the life of frugality that he thought he left behind. He’s worked too hard to end up where he started, but by the conclusion of the episode he realizes that he’s gained more than he ever had before thanks to the family he now has in the Villanueva women and Mateo. Talking about buying a house is moving pretty fast when you’re just starting to date again, but Jane is into it, once again getting swept up in the fantasy Rafael represents. But before there’s any meaningful forward movement in their romance, Wesley’s “Curse Of The Solanos” exposé gets published online, derailing their date night as Rafael does damage control. That’s when Jane checks the nanny cam and finds out that Rafael hired Eric Wu to lie to the police about Michael and Nadine, a revelation that effectively puts an end to her reconciliation with her baby daddy. One of the issues with this show’s rapid pacing is that the writers occasionally move on from plot lines before they’ve had time to fully explore them, and “Chapter Twenty-Nine” tears down new relationships in Jane’s life that are still being built. Rafael is in the same position as Michael two episodes ago, and it would be nice to see the writers give Jane more than a chapter’s worth of romance before pushing her away from her lovers. Jane’s relationships with Wesley and Petra also take significant blows this week, and these moments would have a greater impact if the show spent more time with those friendships before damaging them. Wesley’s betrayal happens quickly because of its ties to Michael’s investigation, which is an especially rushed plotline that clumsily reveals that Michael wasn’t fired but sent undercover to embed himself with Nadine, who was shot dead at some point in the last six months. All of this rushing is to get to the cliffhanger twist that Luisa’s mother is alive and probably the Mütter crime boss that has resurfaced in Sin Rostro’s absence, and I can’t help but feel a sense of déjà vu as we learn that another woman closely associated to Luisa is a secret kingpin. The Petra and Magda story also feels like rehashing past material, only now the pair is dealing with a dead Ivan instead of a hostage Ivan. It’s a bit too convenient how Jane always shows up whenever Petra is panicking about what to do with the dead body in her bathtub, putting Petra in a position where she has to push Jane away in order to maintain secrecy. The writers want to keep this relationship tense, but why introduce a friendship for these two characters if it’s immediately going to be undercut? Judging by Petra’s facial expression after she rejects Jane, there’s likely going to be some future attempt by Petra to make up for her behavior this week, but it would have been much more interesting to see Petra forced to turn on Jane after their friendship gained more depth. Yet even with forced promotional integration and rushed plot developments, “Chapter Twenty-Nine” captivates and entertains, largely thanks to the cast’s commitment to the material and the show’s always refreshing style and tone. Tonight’s episode isn’t quite as substantial or refined as the Jane The Virgin norm, but the strength of the cast and the creative team’s voice makes it satisfying. Of course Rafael would be a #BlackFridayVirgin. He’s filthy rich. 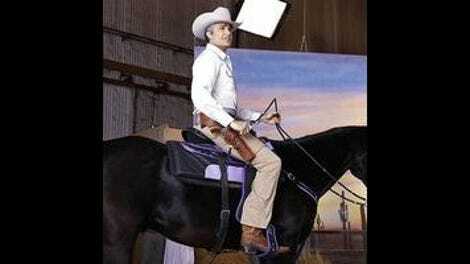 What need does he have for deals? I have the feeling Dr. Bolton is going to be back, and I’m predicting that she’s going to sell Jane’s story to her publisher. I really like the music when Jane sees Michael at Target. It’s romantic but also Christmas-y. Are the writers setting up Professor Chavez as a love interest for Jane? Hot teacher is a fantasy I can see Jane falling for. “They’re all leased. Like Tyga.” That’s a sick burn, Rogelio.